Disclosure: This guest post was written by Stephanie – owner of Sharing A to Z. Susan wants to give a big thanks for providing this awesome article while she is away on vacation! Hi! I’m Stephanie from www.SharingAtoZ.com. I am delighted to share with you some of my favorite water bottles. I hope you enjoy the post! Drinking water is an essential part of a healthy lifestyle. Most people trying to live “green” choose reusable water bottles. 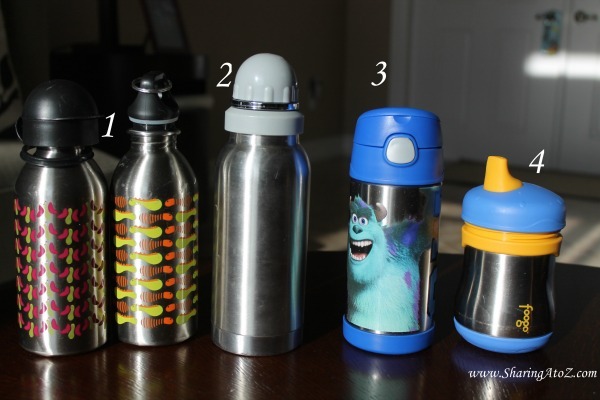 For over six years, I have been on a search for the best water bottle for my children and me. In that time, I have tried lots of water bottles and am excited to share my top four with you. I have one for each of my children. My oldest prefers the screw on cap, while my youngest still has trouble drinking from that cap. Therefore, she uses the lid with cover. My only complaint with these bottles is that the cover is a little difficult to secure. Other than that, we all love them! You can also purchase a brush to help better wash them. 2. My next favorite water bottle is from the Fly Lady. This water bottle keeps water so cold! The mouth is big enough to easily fit ice, which can keep the water cold for days. My children use the 12 ounce stainless steel water bottle and I prefer the 16 ounce bottle (I drink a lot of water). http://shop.flylady.net/pages/FlyShop_swb.asp I bring this bottle to my children’s sporting events or when we are out –and-about for the day as my son feels it is a little to big to take to school. You can also purchase a brush to help better wash the bottle. 3. The next bottle is from Thermos. They can be found at most retailers, which is very convenient. They also come with various popular characters on them, which is great for convincing children to drink their water. However, I find it difficult to keep the straw in good condition. Well, I hand wash most water bottles, so it is not a problem for me. However, my husband puts them in the dishwasher where the straw gets destroyed. I haven’t found a way to just purchase the straws and hate to keep buying the whole bottle. 4. Foogo makes the last bottle on my list. This too can be found at most retailers. It is easy for children to drink from it. However, it does not come with a cap (and that grosses me out). It also has several pieces that can be a little difficult to wash and keep secure. Those are my top four reusable water bottles! 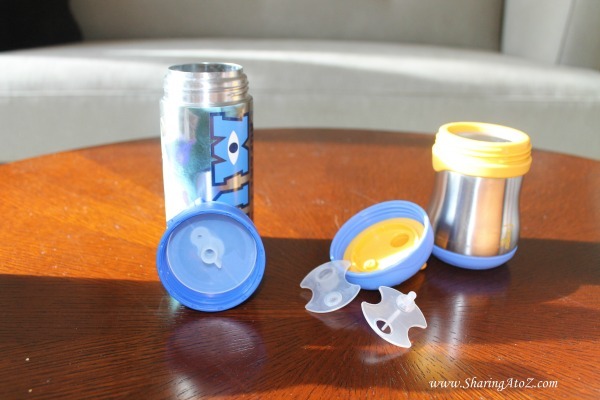 Have you found a reusable water bottle that has become your favorite? I would love to hear about it! 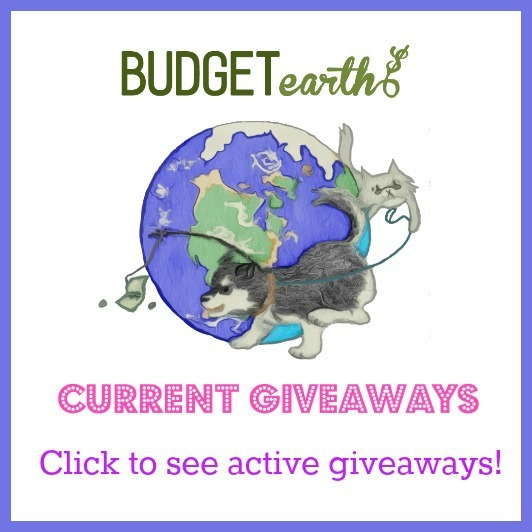 Disclosure: This was a guest post given to Budget Earth. If you would like to read more written by Stephanie, make sure to head over to Sharing A to Z. There was no compensation received by Budget Earth or When’s My Vacation for this post. Not only are these good for the earth but the plastic scares me because if supposedly causing cancer…I hate these kinds of bottles though because cleaning is a pain. Unless you just use it for water. Great reasons. These are great if you can put in dishwasher. Some you have to handwash. I wish more people would start using these water bottles. I use them all the time and I even have my mom in the habit of using them. they are so much better for the environment and your body. Great article! These look really nice. I don’t have kids, so I had no idea there were baby bottles like this! I’ll keep them in mind for the next baby shower. I love drinking water because I believe that water is essential to our GOOD HEALTH!! I was also taught and believe, that fluids in glass containers, are a lot better for you, than plastic ”ANYTHING” thank you for this chance!! I loved your article on the eco-friendly water bottles. This week, in the news, there was a lot of discussion about chemicals emitted from disposable plastic water bottles, when left in the car, during warm weather. My favorite, in your article, was the Fly Lady. I’ll have to check it out. I personally use the Brita single serve. I think eco friendly water bottles are the best way to go, to help cut down on rubbish. Wow – I’ve been drinking out of old plastic containers since I can remember – I keep different ones filled with beverages in the refrigerator. Now I see this isn’t good at all – I want to check these out -asap! We’ve been trying to reduce plastic in our kitchen for a few years, I’m just not comfortable putting plastic in the dishwasher, and using them long term, yuck. Stainless is so much cleaner, it gets sanitized in the washer, and it doesn’t leach anything into your water!